72 registered members (agraffe, atcsam, 7uturu, AprilE, Animisha, akc42, ando, apianostudent, 16 invisible), 893 guests, and 3 spiders. Did the dealers say $12K street or MSRP price? More likely street price. I never got a consistent answer about MSRP (and in my discussions it didn't make a whole lot of sense to press the issue since it's largely irrelevant). Some said around 16000, others said 17000-19000, but all said "but we'll be selling it for around 12,000-12,999" right out the gate, so I assume that's a good data point for street price, and starting point for negotiations? I heard nearly the same numbers as Gombessa. This is coming from a location in Orange County. Alas, I don't dare to switch it on yet. It has been on a truck for several days now and was thoroughly chilled down. There's heavy condensation (the keys even have a slightly wet feeling) and I don't dare to connect it to the power mains or switch it on, as I guess that the condensation inside, on the electronics, is likely just as bad. So I have to wait until tomorrow until I dare to actually play it! Thanks for the hands-on review and picture. Keep us updated with further impressions once you’ve had time to play it for a few hours. Did it arrive assembled or did you have to assemble it yourself? I wondered if the piano makers shipped overseas via refrigerated container to maintain some control of temperature, humidity, salty air, etc. Alas, I don't dare to switch it on yet. ... So I have to wait until tomorrow until I dare to actually play it! I'd have the self-discipline to not switch it on til tomorrow . . . but no way I could resist some "silent playing" tonight! It came in two huge boxes. One very huge one that contained the main body. And another one, a bit smaller but still large, that contained the base (the back part with the subwoofer and the pedals) plus the two front legs. You need to attach the two legs to the base to assemble a sort of three legged "table" and then put the main unit on top. My delivery included assembly by the delivery people, but I heavily assisted them, as I had compulsively read the assembly instructions about five times (in two languages) and they of course hadn't (first of all because they are handymen who of course don't have to read instructions, ever, and second because this was of course the first NV10 they have ever delivered). Congrats! Nice looking piano in a very nice and cozy looking room! May you have great pleasure with that piano! Cool. Nice bench, by the way. It does look fantastic! And I also admired the bench. Yes, my wonderful Andexinger bench. My christmas gift from 2016. I'm very happy with it and agree, it matches well with the NV10. Ha! Fortunately that's a decorative ethanol fireplace without a chimney. I'm planning to move it further along the wall. 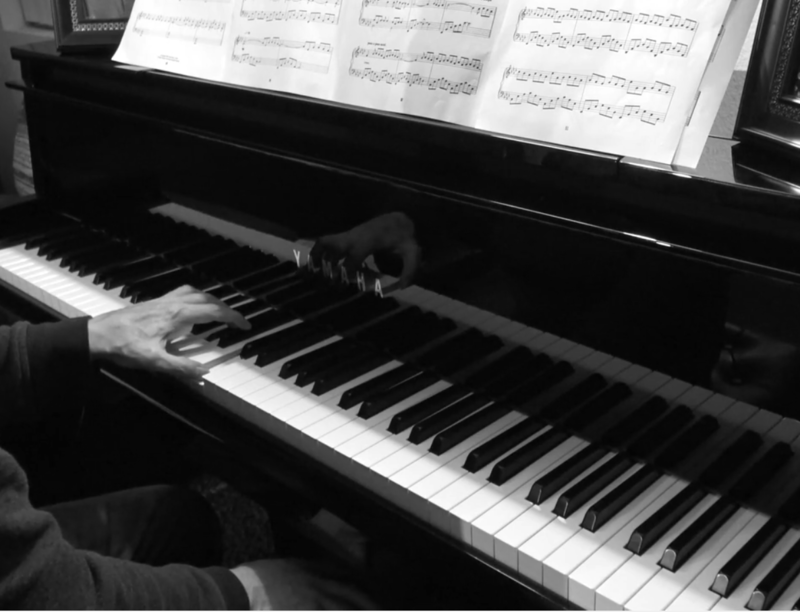 Not just because of the heat near the piano, but also because it's simply too close purely for visual/layout reasons. So I have to wait until tomorrow until I dare to actually play it! You are a patient man!!! Interesting review. 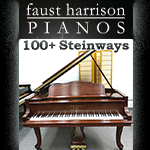 I would be interested in how it compares to a baby grand piano with the silent option. I think that's a very interesting point. Yamaha have not, to my knowledge at least, stated a specific grand mechanism from which their AvantGrand action is taken. That does make me suspect that it was put together specifically for the AvantGrands, and as such you have to question the extent to which it is a real grand action. The NV10 explicitly uses the Millennium III action, and from your description, does indeed feel like a GL-30 acoustic grand which uses that action. 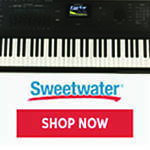 From what you and Jobert have said, it seems that Kawai have once again taken the lead on keyboard action. Now they just need to sort out marketing, distribution and electronics. This is just a marketing strategy. Kawai explicitly says they use Millennium III action for most of their acoustic grand pianos. Such a statement is not necessary. I have tried the N2 and N3 and their action feels very nice and authentic. 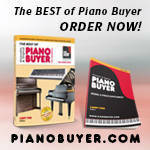 I am confident of what I am saying as I was a piano major in the university. Last edited by kiwibd; 02/05/18 06:36 PM. I tested it against a GL-30 ATX and a couple of GXs, and other than texture of the keys (the blacks are matte plastic-ish on the NV10 and the GX had ivory-feel whites), the NV10 felt remarkably identical to the acoustics. I really think you're getting exactly what you would expect action-wise, it doesn't feel like a "baby grand" but that could be because Kawai's actions feel consistent through much of their range? For me, this is in contrast to the AvantGrands, which also have real acoustic actions but didn't feel very similar at all to a C3X or C7 when I tried it (but did feel similar to a GB1K). I tested it against a GL-30 ATX and a couple of GXs. I really think you're getting exactly what you would expect action-wise, it doesn't feel like a "baby grand" but that could be because Kawai's actions feel consistent through much of their range? 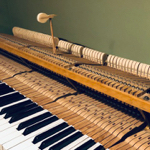 I'm interested in how the the whole package (action and sound, over headphones and into the room) compares to a baby grand with silent in the same price range, because that is what the Novus is competing against (while conventional digital pianos compete against upright pianos in the same price range). I see no point in putting a GX grand against it. Last edited by JoeT; 02/05/18 08:36 PM. The bench looks like a Andexinger Bench. Is it standard that comes with NV10? Wow! What an absolutely beautiful piano. It seems to me that the NV10 might be the pinnacle of digital greatness. Last edited by David B; 02/06/18 05:17 AM. I'm interested in how the the whole package (action and sound, over headphones and into the room) compares to a baby grand with silent in the same price range, because that is what the Novus is competing against. 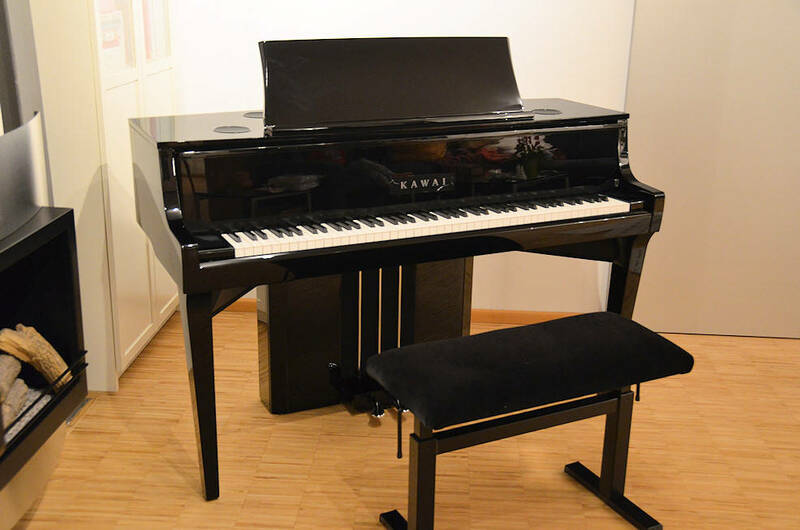 I cannot speak about how they compare, because I never tested a baby grand with silent, but I can say that, at least here in Germany, there actually isn't a fair competition between the two, because here those two are not in the same price range: At Thomann, the GL10 with ATX2 currently costs 13,000€ (down from 16,900€ MSRP), the NV10 only 9,000€ (down from 9,590€ MSRP, all prices with tax included). So the GL10ATX2 is almost 50% more expensive than the NV10 at street price (and even more so at list price). Good eyes. Yes it is indeed an Andexinger. But no, it didn't come with the piano, I already had it before.